Whether your media is film, television, web or ultra modern art installations we know you have poured your soul into your work. Complete your vision with sound. Custom, original music from Friction's studio musicians completes your unique work. 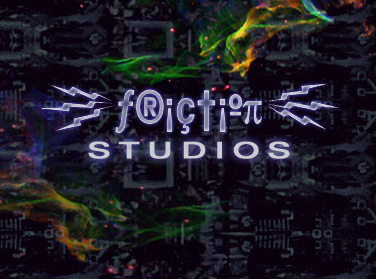 From flowing background music to the wildest experimental sounds, Friction Studios will find the sound you need while meeting your budget and deadlines. 1. Creative, professional studio musicians ensure all your artistic ideas are brought to life. 2. Recorded in ideal, hardwood floored rooms onto a 24 bit recording system, sound from Friction is always full bodied and warm blooded. 3. We take the legal hassles out of your soundtrack. All music is fully copyrighted for your protection. Friction Studios was created in 1996 to record Honest Engine's second CD, OVERHAUL. A decade later, Friction is a high quality boutique studio in Salt Lake City, Utah. Friction has joined with Cypher Records to present quality music for visual artists. Distribution rights are available at reasonable prices. Visit the Download Library for Rules of Use and pricing. Friction Studios supports copyright law. The musicians have provided express permission for the downloads available on this site.